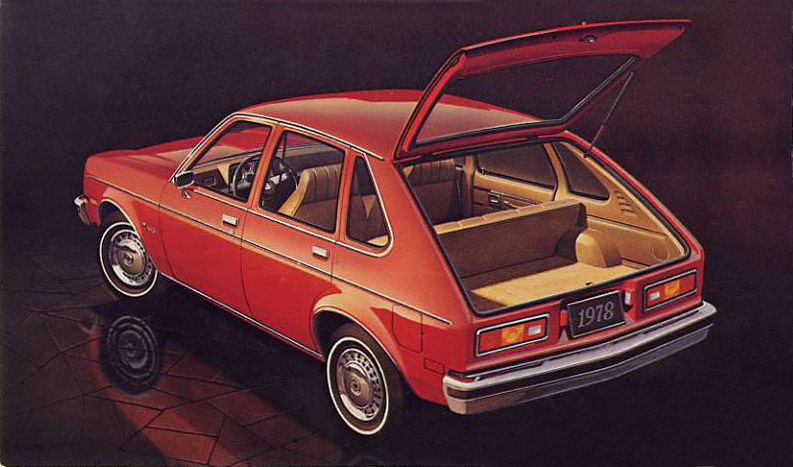 The 1978 Chevrolet Chevette 5-door hatchback. It was introduced in September, 1975 and manufactured for model years 1976-1987. It was also badge engineered Pontiac Acadian. Published on March 4, 2012 8:57 pm.